Readers of this post, might also wish to read this important post. While the world is evolving, women are still lagging behind when it comes to leadership roles in business. Today, only 26 women are in CEO roles at Fortune 500 companies, making up 5.2% of the female population, according to a report by Pew Research. The stats stay virtually the same for women CEOs of Fortune 1000 companies at 5.4%, showing that there is little movement of women making up these high-ranking positions as company leaders. With women still pushing to reach the top, they are faced with a range of challenges that many of their male CEO counterparts don’t have an understanding of. It is these issues that are preventing many women from achieving their goal of becoming a leader at their company and diminishing their ability to get ahead in business. 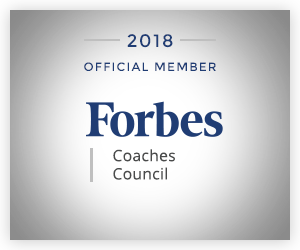 Below, 15 members of Forbes Coaches Council share what the biggest challenges their female clients are currently facing and provide advice for women leaders everywhere. One of the biggest challenges I see when I speak with females is their confidence. I tell them they need to get comfortable knowing that people will always try to take you off of “your game” or dislike you for no apparent reason. But if you go in knowing this, if you are clear on your purpose and on what you are trying to achieve, then you will be successful in getting what you want. – Francine Parham, FrancineParham & Co. In conversations with leaders, there is one recurring theme that haunts me. It is the virtually inaudible question I hear women asking themselves too often: “Who am I to…?” What I tell my clients is that right now, they are among the wealthiest, most educated and powerful women on the planet. They have not risen to their current title by accident. They must trust and use their own voice! – Susanne Biro, Susanne Biro & Associates Coaching Inc.